Do you want to show your valuables without any risk? HologramStudio has developed a range of True colour holograms. The image recorded in such a holographic plate represents the most technically advanced representation of an object possible today. Theft prevention and insurance are among jewellers highest costs when running their stores. By replacing the jewellery with holograms in displays and shop windows these cost can be reduced. Museums: Full colour holography until now has found applications in museums for the optical cloning of artifacts, for restoration and documentation purposes and virtual object presentations. CLH are recorded 1:1 from an actual object that is placed in the camera. These museum holograms are often unique or hand copied into small series. With this technique museums can finally sell the holograms of their, often unique, objects to collectors, lent holograms to other museums and document their restorations, all in full colour 3d. 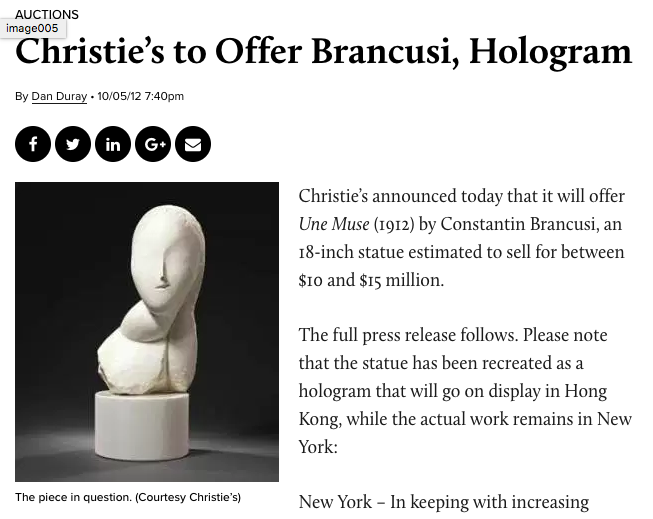 Auction houses: Christie's has successfully used holograms to show their clients one object ‘simultaneously’ in both London and Hong Kong. 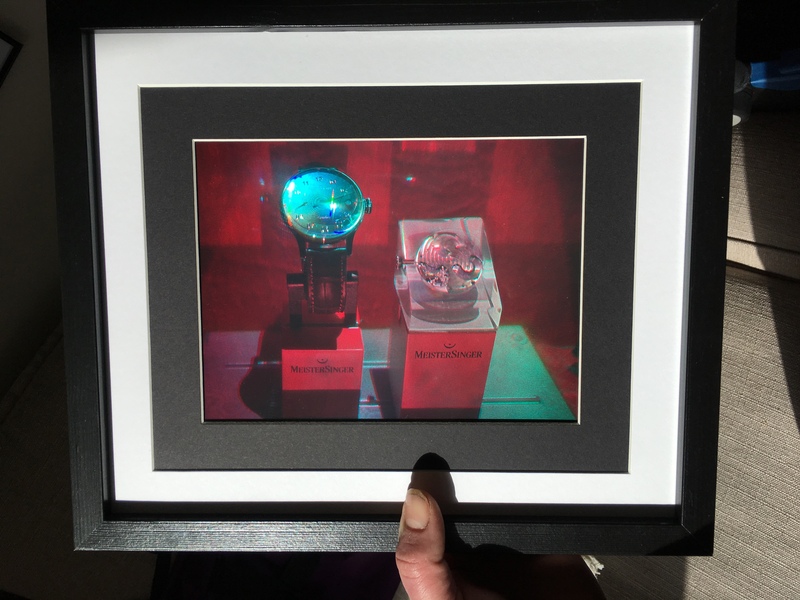 The client in Hong Kong bought the object based on a viewing of the hologram only. In both the UK and Greece several museums have recorded their artifacts as full colour holograms. But applications of this technique are not limited to museums and auction houses only, it is expected that it can soon be seen in the high street: in advertisements or at night in jeweler windows replacing expensive watches. Holography dates from 1947, when British/Hungarian scientist Dennis Gabor working at Imperial College in London discovered holography while working to improve the resolution of an electron microscope. Dennis Gabor coined the term hologram from the Greek words: ὅλος (hólos; "whole") and γραφή (graphḗ; "writing” or “drawing"). For years holograms were either monochrome (a single colour) or rainbow coloured (a lot but random colour) This proofed problematic when an accurate representation of the original object or corporate logo was expected.To solve this problem full colour holography was researched and is now commercially avialable. Full colour holography can provide images in 3d with both horizontal and vertical parallax. Full colour holography is a new imaging technique that can create the most realistic image of an object that can be obtained today and is therefore also called ‘Ultra Realistic Imaging’. (professor Hans Bjelkhagen). Full Colour Holograms are produced on panchromatic recording materials that are sensitive to red, green and blue lasers. The lasers producing the three primary colours are combined into a ‘white’ beam and used to reproduce full colour three-dimensional images. Full colour holography can provide images in 3d with both horizontal and vertical parallax. The image recorded in such a holographic plate represents the most technically advanced representation of an object possible today. The display versions of these holograms are so realistic that people often mistake them for the physical object that was used to record the hologram. These holograms can now range up to 30 cm x 40 cm in size.